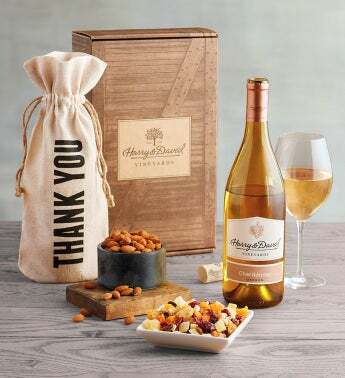 Go the extra mile in expressing your gratitude with a gourmet gift your recipient won't soon forget. Tucked inside a handy linen wine bag—decorated with the words "Thank You"—is a bottle of our 2017 Harry & David™ Chardonnay. We've also included roasted almonds and our paradise dried fruit mix to round out this delicious assortment.